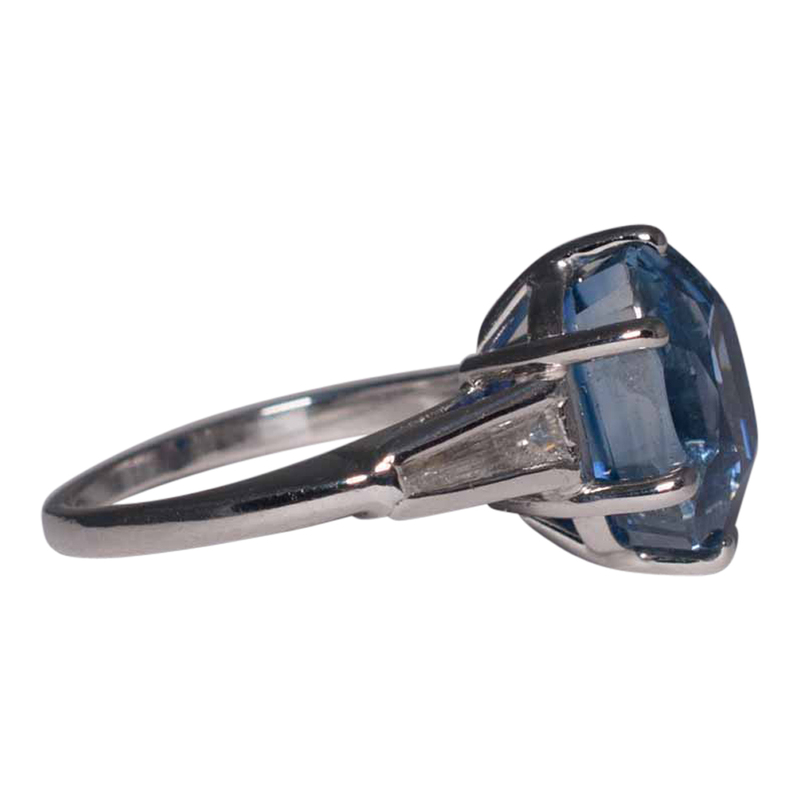 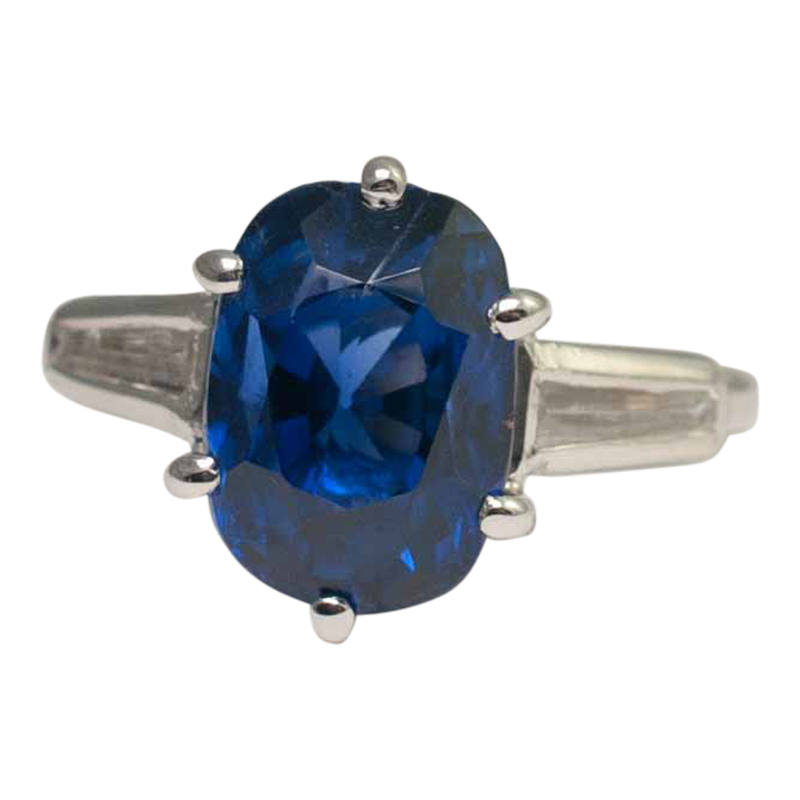 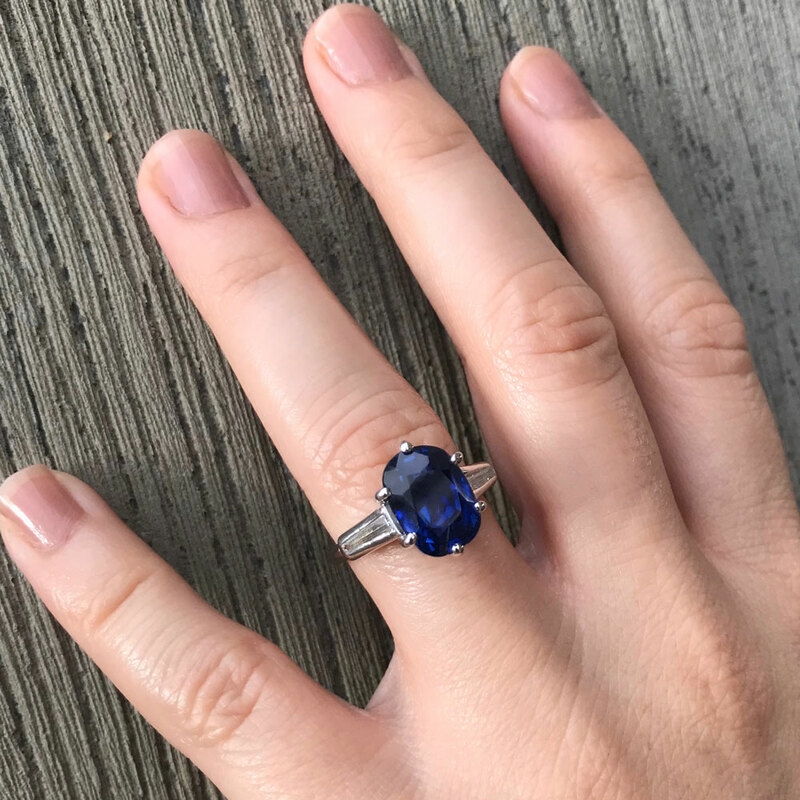 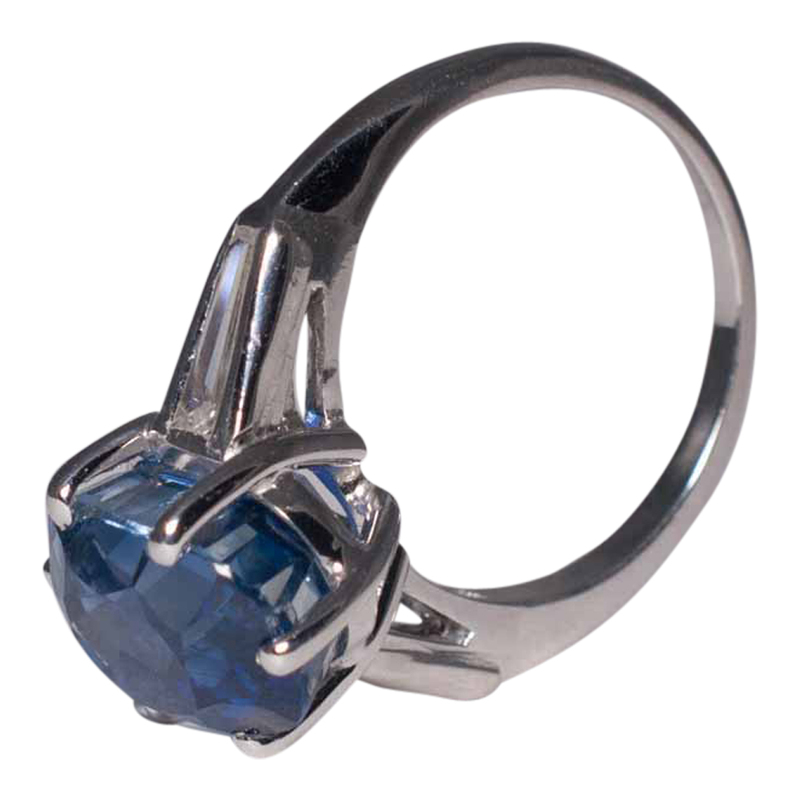 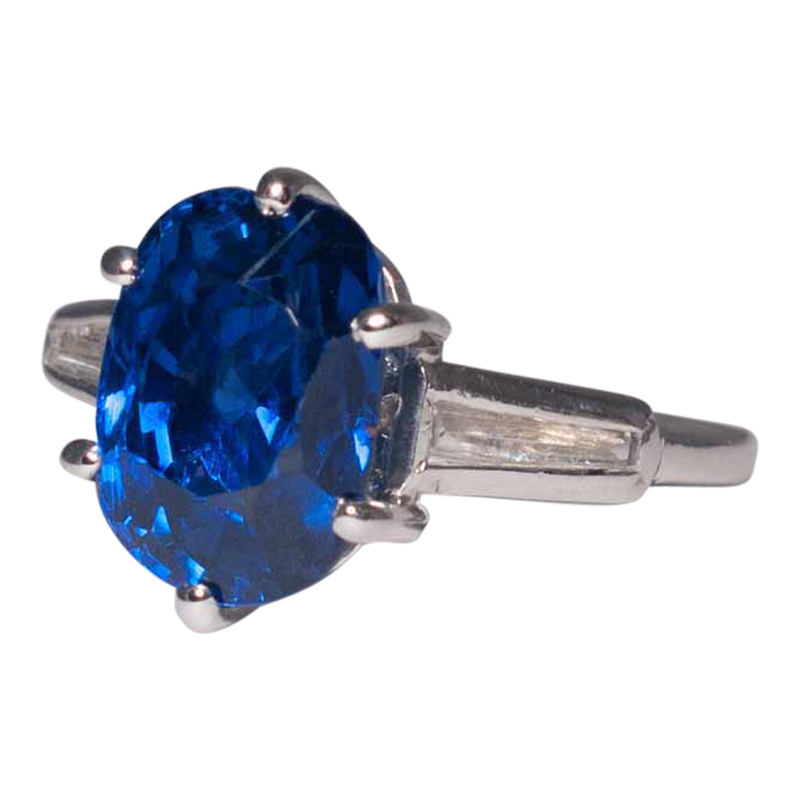 Royal blue sapphire and diamond solitaire ring; the sapphire weighs 9ct and is claw set; on either side there is a graduated baguette diamond set into the shoulders. 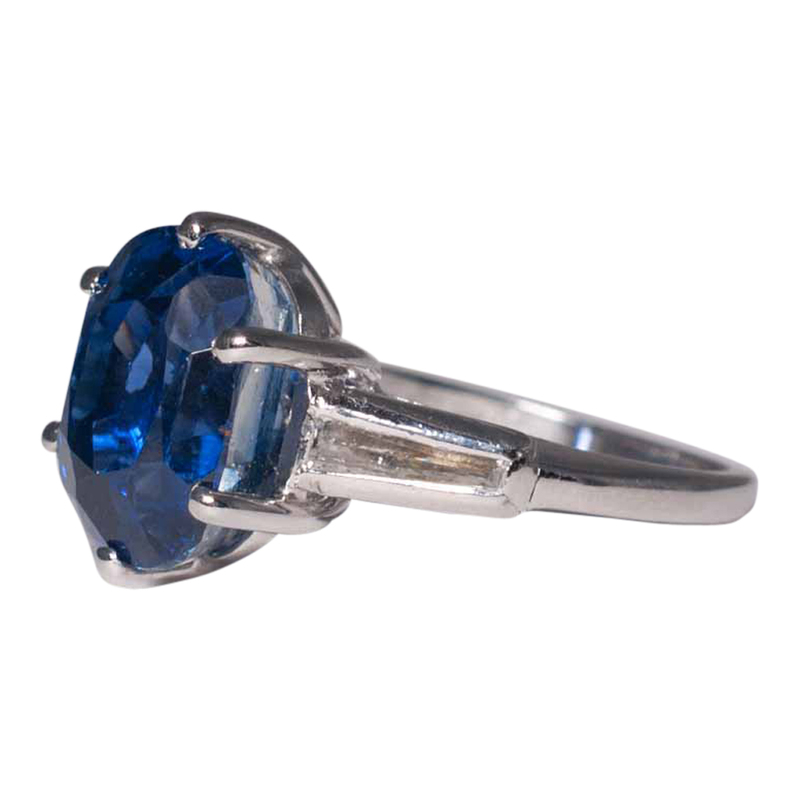 The ring is substantial and in solid platinum, weighing 7.7gms. 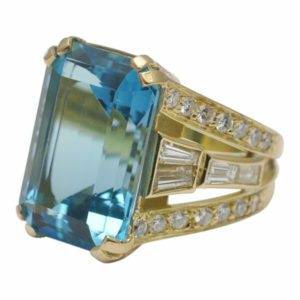 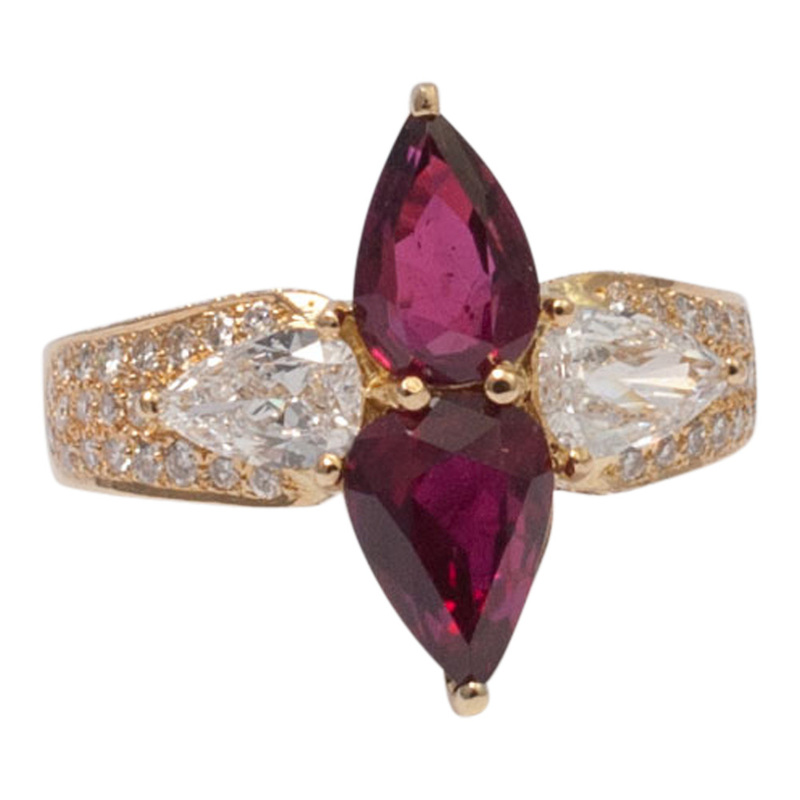 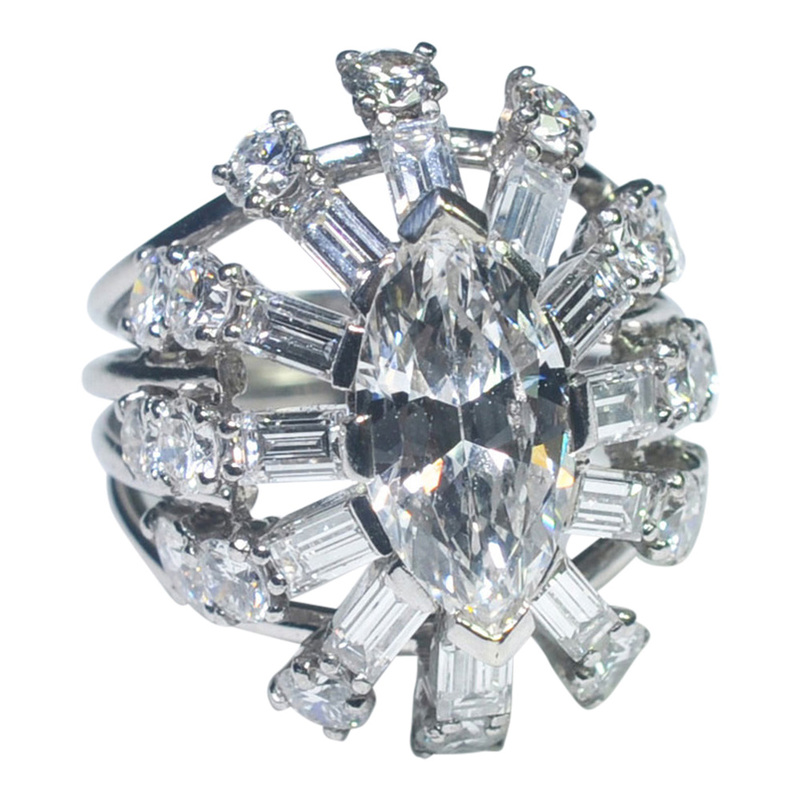 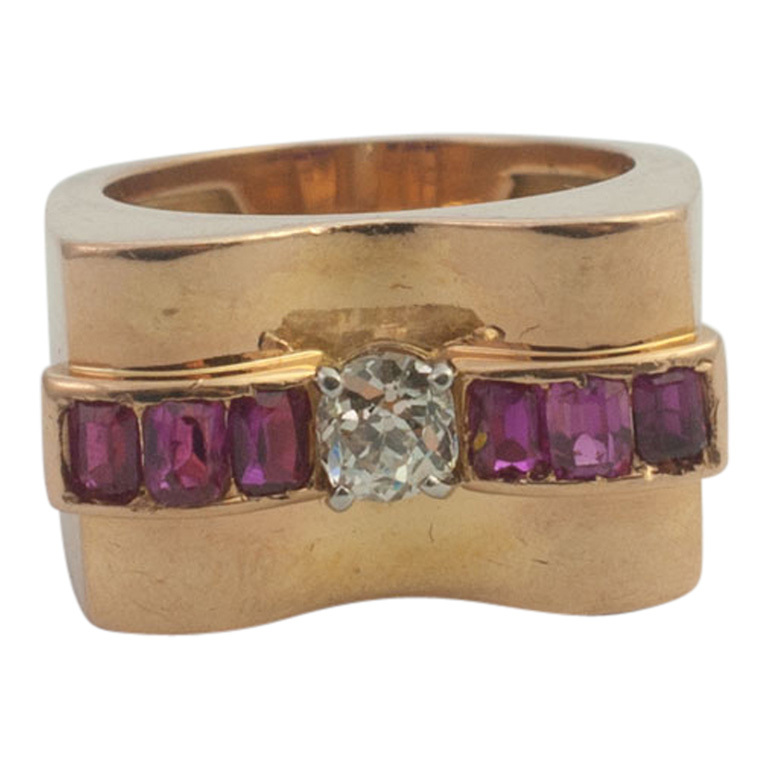 This is a gorgeous ring which would make a lovely engagement ring and is in excellent vintage condition. 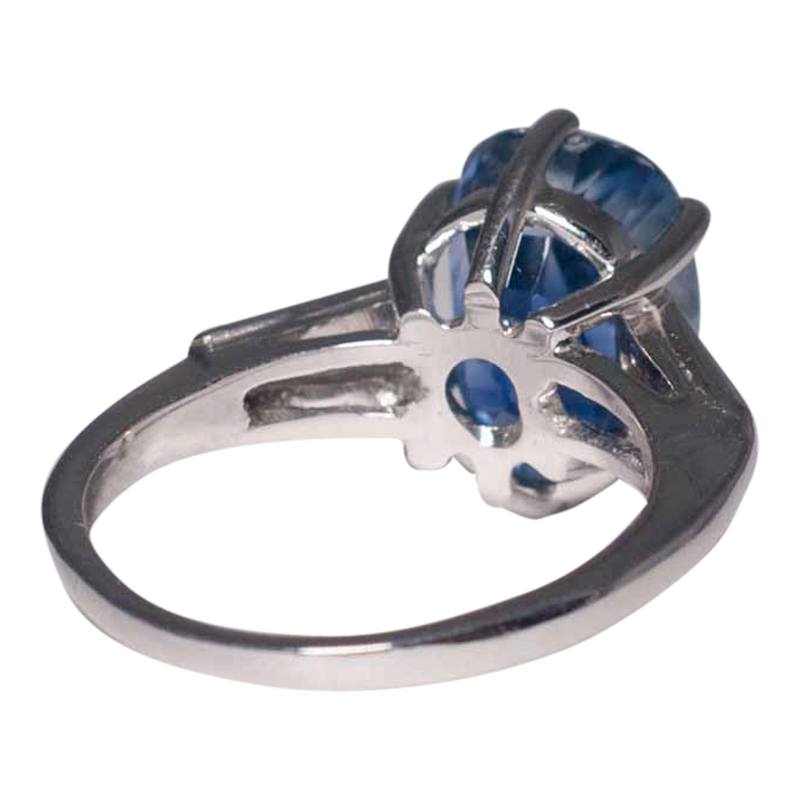 Stamped Platinum. 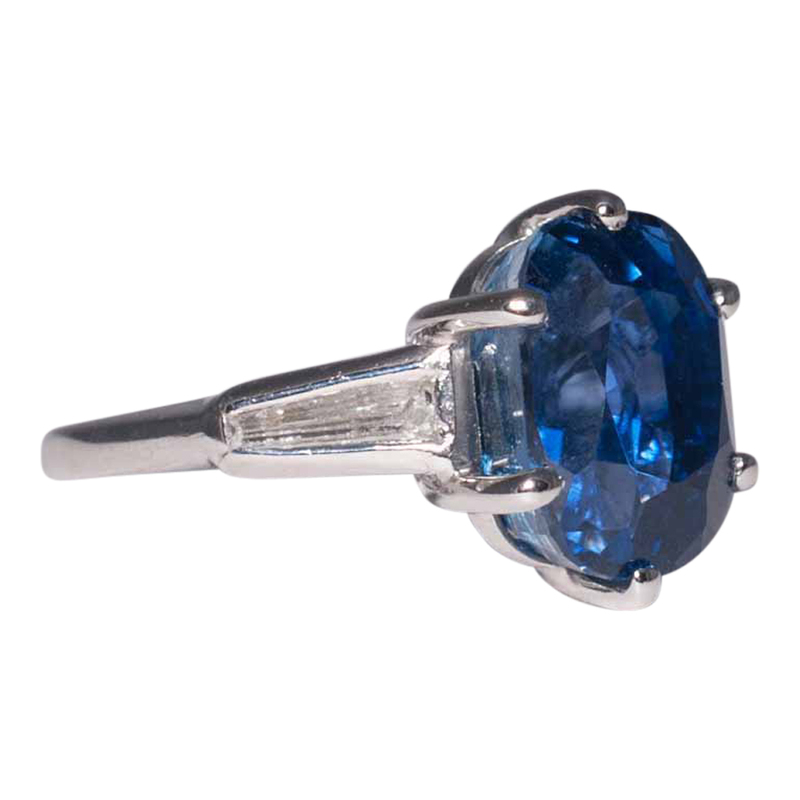 Finger size N1/2 (UK), 7 (US), 54 (EU) which we can re-size for you if required.